A New Orleans police cruiser sinks beneath rising floodwater. A bouncy and ratchet-grooved R&B beat pummels like the noonday sun of Louisiana. And, looking resplendent in a striped red dress, Beyoncé reclines atop the squad car chanting, “I slay, I slay.” This unforgettable scene closes out the music video for “Formation,” the final track on the singer’s 2016 visual album Lemonade. The choreographed riot also sets an opulent stage for a new, hard-to-classify work of music writing by Omise’eke Tinsley. In Beyoncé in Formation: Remixing Black Feminism, Tinsley charts how the luscious veneer of Lemonade conceals a subversive, empowering, and downright badass disruption of the cultural narratives that give shape to blackness, femininity, motherhood, southernness, and sexuality in America. Tinsley regards Beyoncé as a potential healing voice for many queer, femme, and trans* folk, who are often not given the space to speak their own stories. Part scholarly treatise and part family history, part lavish scrapbook and part justice-oriented advocacy—you’ve never read a book quite like this. For this interview with The Millions, Tinsley talked about writing like a remixer, the startling wisdom found in autobiographies of famous female country singers, and Beyoncé stepping into the role of a paradigm-slaying hero. The Millions: Your book is called Beyoncé in Formation: Remixing Black Feminism. How is your book a remix and why did you choose that form? Omise’eke Tinsley: As I set out to write this book, one of my questions was, “How am I going to write about Beyoncé?” She has a lot of music. There is a lot that people have said about her. Initially, my editor imagined that I would tell a story that began with the first solo album and continued through Lemonade, or went track-by-track on Lemonade. But I didn’t feel like that would be a book I was particularly suited to write. Instead of writing a book the way that I was taught to write in graduate school, I wanted to have the form come from my subject matter as a matter of respect. I tried in each chapter to bring in different elements—maybe a little bit of history, other current events—and to mix all of those together in the way that I would make a mixtape. My idea was to write the book like a song, given that I have no actual songwriting expertise, but to make a book-type song. Scholars like Angela Davis have talked about how black women’s songs have been a space in which we’ve told our stories, told what it means to be a black woman, and told how we imagine getting free. That has been a space that has been more accessible to black women, historically, than the academy ever has been. I was writing Beyoncé in Formation in the tradition of black feminism that’s always remixing the feminist texts that have come before. TM: The Lemonade visual album is something of a mixtape too. It has traditional music video spots, voiceovers of poems by Warsan Shire, and home video footage from Beyoncé and Jay-Z. What do you think the big-picture project of Lemonade is and how the remix format fits into it? OT: Like every other Beyoncé fan, I love the self-titled album. It came out around the time when Beyoncé stood up at the Video Music Awards in front of a brightly-lit sign, declared herself a feminist, and broke the Internet in a way that it desperately needed to be broken. However, one thing that was nagging at me in Beyoncé is that it’s so cosmopolitan. Parts of the self-titled visual album are shot in Brazil, parts of it are shot on the European continent. That’s great and that’s cute—it’s nice to be in chateaus. But it seemed to me that some of the specificity of Beyoncé as a black woman from the U.S. South was being washed out as part of her message of feminism. When Lemonade dropped, it immediately had a special place in my heart. It imagines the U.S. South peopled almost entirely by black women. It’s a U.S. South in which the past, present, and future weave in and out of each other, in which black women both have a past that’s powerful and have a future that’s possible. Traditionally, it’s a site that people imagine as a space of impossibility and backwardness and disempowerment. For me, as someone living in Texas at that moment, to imagine the U.S. South as a space of possibility, as a space of historic strength, and as a space of possibility for the future was really important. Thinking about black women’s creativity, our history, different cultural artifacts—how all of these can be in conversation to imagine a world in which black women simply get to be free is, to me, the premise of Lemonade. It’s imagining black women’s freedom and part of that freedom is not being beholden to anything. TM: In the context of Lemonade, I’ve been thinking about how pop music has a trickster quality. There are bland, universal aspects but also a wink and a nod. There are also incredibly personal and autobiographical components in the language and the gestures of pop music. How do you think Beyoncé has incorporated autobiography in her music, and what changed for Lemonade? One thing about being a creative black woman or woman of color is the assumption always that we’re writing autobiography. I once taught Breath, Eyes, Memory by Edwidge Danticat and a student of mine asked in class, “Is it safe to assume, because the author is fairly young, that this must be autobiography because she wouldn’t have anything else to write about?” And my answer was, “No! Of course not!” Black women have more to tell than just the story of our own lives. I think we all wish we were Beyoncé’s girlfriends and she would tell us about her marriage, but she’s not. She’s making a work of art, and she’s selling a product. That product is not access to Beyoncé’s home life. All artists use elements of the autobiographical to tell a story that’s larger than the story of their lives. There are so many moments in Lemonade where that becomes abundantly clear. One of the moments is in “Hold Up” when she emerges on the courthouse steps dressed like Oshun, the Yoruba goddess of fresh water, beauty, and femininity. She’s putting her story in an African diaspora context. In the next song on the visual album, “Don’t Hurt Yourself,” she samples Malcolm X: “The most disrespected woman in America is the black woman.” At that moment, the film stops to make clear that if you think this is just about one black woman, you’re missing the point. The point is about how black women are disrespected in every aspect of our lives. Not just our marriages, not just our personal lives, not just by a man but by The Man. The point is also how we’re continually looking for the love, respect, and tenderness that we want and have a hard time accessing. I both applaud Beyoncé using autobiographical elements—the home videos and some stories from her past, whether real or fictional—to give us this idea that black women’s personal stories are worth telling. But she also takes that and builds on it, bringing in the work of other black women artists like Warsan Shire and Julie Dash, and thinks about the larger picture of how black women create beauty out of whatever it is we have available in our lives, how we take lemons and turn them into lemonade. TM: Your book is like no other book that I’ve ever come across. I had to stretch to come up with a comparison, but the one that finally clicked for me was Joanna Demers’s Drone and Apocalypse. It’s about drone music; very different from Beyoncé, of course. The connection for me was that Demers answered another scholar’s call to write about her chosen genre in a new way that was more appropriate to its themes, aesthetics, and conventions. It took the form of a catalog for an art exhibit from the future, which makes a certain sort of sense when you read it. It seems to me that the remixed form of your book is shaped not only by the form of Lemonade, but also by the scholarly writing of Sydney Fonteyn Lewis and Juana Rodriguez, whom you call out in the introduction. Would you agree with that? And how would you say that Beyoncé in Formation responds to their work? OT: I think my work has a similar spirit to those two, but is fairly different in some ways. Juana’s book Sexual Futures, Queer Gestures, and Other Latina Longings, which I love and adore, is scholarly in a different way than mine is. It’s playful and it’s attentive to pleasure. I also have that same opening to playfulness and pleasure, but in a different way. I think of my work in line with Juana’s partly because we both write specifically as femmes. Lewis’s project was to look at a text, at popular culture, at people like Donna Summer, at black feminist novelists, and look for femme representation where we can’t find them. When I was a graduate student, I was struck that there was a dearth of people theorizing what it means to be a queer femme. Here we are, 20 years later almost, and it’s still the same thing. Why is it that femmes of color don’t feel like it’s important to write our gender into our queer texts? The two words that I wanted in the title of my book were “black” and “femme”— I won one battle and I lost the other. The publisher’s thought was that “femme” is too narrow, people aren’t going to know what it is. (Which is why I wanted it in the title!) I wanted to think about how femme-ness and black queer femme-ninity was in conversation with other black feminist representations. I was inspired by people who had come before me, but also hoping to hold space for the next generation of scholars to think about queer gender more expansively, particularly about femme-ninity. TM: I’m really interested in that idea of holding space. You examine some of the femme and queer undertones and overtones of Lemonade, and readers never know what’s coming on the next page—from #blacktranslivesmatter activism to ratchet feminism to New Orleans bounce music. But by the end of the book, you pull back some of your autobiographical tendencies and put forward the voices of black trans* men and women. I was wondering if you could talk about “writing in” other voices, in terms of insertion into the text, and “writing in” other voices, in terms of imitation. How did you strike the right balance? TO: I didn’t feel like, in a chapter about black trans* femme-ninity, my stories…they’re just not the stories that need to be told. I look forward to other trans* women of color in particular talking about their own relationship to Beyoncé and to popular culture. It’s important that Beyoncé is powerful to black trans* femmes—and it’s important to me that they tell that story and that I don’t. As I say in the book, I am disappointed that Big Freedia doesn’t show up in the “Formation” video. I’m disappointed that she doesn’t show up in Drake’s video as well. I hope that the inclusion of somebody like Big Freedia on these tracks can be a starting point for more representation of the diversity in which black femme-ninity robes itself. For example, black trans femme-ninity doesn’t all have to look like Janet Mock. (But it’s great if it does!) Black femme-ninity doesn’t have be assigned female at birth. It doesn’t have to be legible in the way we expect femme-ninity to be. I think there are going to be other texts coming out in which black trans* women get to be the autobiographical voice. TM: You write about your new collection of autobiographies written by female country singers and mention that you “learned a lot about the ideal country mother” from them. Of course, Beyoncé is an idealized country mother in some ways. What did you learn by accumulating that small library? What are some things those books have you thinking about as a Texas-based mother yourself? OT: I can’t say that I knew anything about country music growing up in Northern California. It was just not a part of my world. When I came to Texas, a lot of my black students from Houston had a connection to country music. It’s something that they heard in their houses. When Beyoncé had the nod to country music in Lemonade, that made sense to me. My father’s mother, who died a few years before I was born, was born in Louisiana. I’ve always been really curious about her. My father has a hard time talking about her because for him she is the ideal country mother. She sacrificed everything for her six kids. My questions to him were, “What did she like? What did she enjoy?” She liked country music. She was a big Hank Williams fan. As a way of learning about my grandmother, it had been in the back of my mind to learn more about country music. I got really interested in Loretta Lynn, and I read everything she’s ever written. Dolly Parton, some of these other women—I vaguely remember them from growing up, but I didn’t realize the way they were pushing back and challenging the ideals of country motherhood, which are that your family should be your life, if your man cheats you take him back, you put your faith in God, you don’t work outside the home except maybe once in a while to feed your family. These are the kinds of stories that I heard about my grandmother from my father. Some of my reading of these autobiographies, including Tammy Wynette’s Stand by Your Man, was to try and hear from these women about what the rewards and the challenges of being expected to live for your family are. What happens when you refuse to? Or you can’t? And what do you get out of it? What do you lose? The strength and the complexity of their stories has really resonated with me. My poor husband has to listen to a lot more Loretta Lynn than he thought he was getting into when he married me. TM: Are there things that you found in the autobiographies that conveyed something different than, for instance, the recorded albums of these songwriters? Are there any big themes that felt different in those books? OT: I did not expect Dolly Parton to be the engaging writer that she is. I don’t know why—she is a songwriter. There is a joy and humor in Dolly: My Life and Other Unfinished Business that I wasn’t expecting. There is a love of girliness that I really appreciate. I got to see where that was rooted in her life story. Part of what was fascinating for me about Dolly Parton’s autobiography, though, was also reading her sister Stella’s autobiography, Tell It Sister, Tell It, and seeing the difference between the two of them. Particularly, the differences in the way that they remember their mother. Every good country singer has a story about their mother and how great their mother was. Stella wrote about the deep depression that their mother lived through, the difficulties of her life, and the difficulties and drudgeries of what it meant to be a country mother. That’s something that didn’t show up either in Dolly Parton’s autobiography or in her music. There seems to be a way that Dolly distances herself even from the memory of that in the autobiography. I found both of those stories really compelling. How do you beautify a story that wasn’t all that beautiful? What does it mean to think, I saw my mother constantly sick from being pregnant, either ill from pregnancy or post-partum depression and unable to get out of bed, and I had to do all of the work?, and to not sentimentalize that in the ways that it gets sentimentalized in some male country artists’ songs? Loretta Lynn’s autobiographies—there’s Coal Miner’s Daughter and Still Woman Enough—it was fascinating to see her revise her story. To say, There are things that I told in that first story that were incomplete, there are moments where I came off as more the victim than I was, and there are moments where I underplayed the difficulty of my life is remarkable. Also, in the second autobiography, she’s writing because her twins want to know more about their father, who died when they were fairly young. She feels like at this point in her life it’s important not to sugarcoat things, and that she needs to talk about him being an alcoholic and abusive and her not just taking it. It was important to tell a less romantic story than what we saw in the movie Coal Miner’s Daughter or even in some of her songs. I really enjoyed all of those books. TM: Any last things that we should know about Beyoncé, feminism, femme-nism, or anything else? OT: I’m really excited to see other women stepping into the space that Beyoncé has opened. 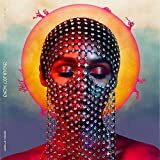 Janelle Monae’s Dirty Computer is a different kind of work imagining a world in which black women’s love matters. The work that Janet Mock has done on the television show Pose is great. I really look forward to continuing this conversation about the spaces that are opening and how we’re shaping them and claiming them. Lemonade has a life that’s beyond itself, and it should. Will Wlizlo is the editor and eschatologist-in-chief at The Oblivious, the world’s foremost library, archive, news wire, and think tank of the apocalypse. He lives in Minneapolis, Minnesota.